WASHINGTON, DC, March 26, 2013 (ENS) – Fifty-five percent of U.S. rivers and streams are in poor condition for aquatic life, finds the first comprehensive survey of the nation’s stream and river health, released today by the U.S. Environmental Protection Agency. Excessive levels of the fertilizers nitrogen and phosphorus, high levels of bacteria and mercury, decreased vegetation cover and increased human disturbance are the key stressors affecting thousands of river and stream miles surveyed during the summers of 2008 and 2009. “The health of our Nation’s rivers, lakes, bays and coastal waters depends on the vast network of streams where they begin, and this new science shows that America’s streams and rivers are under significant pressure,” said EPA’s Office of Water Acting Assistant Administrator Nancy Stoner. Reflecting the most recent data available, the National Rivers and Streams Assessment 2008–2009: A Collaborative Survey, released today, presents the results of this unprecedented sampling effort by the U.S. EPA and its state and tribal partners. More than 85 field crews sampled 1,924 river and stream sites across the country to determine the extent to which rivers and streams support a healthy biological condition and the extent of major stressors that affect them. Using standardized field methods, they sampled waters as large as the Mississippi River and as small as mountain headwater streams. 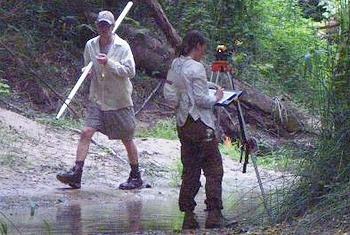 Sites were selected using a random sampling technique using a probability-based design to reflect the full variety of river and stream types, sizes and locations. EPA, state and university scientists analyzed the data to determine which rivers and streams support aquatic life, how major stressors may be affecting them and how conditions are changing over time. 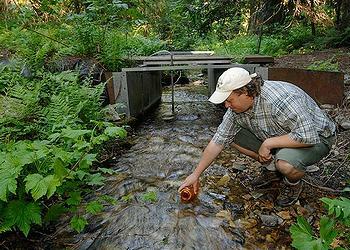 When the biology of a stream is healthy, the chemical and physical components of the stream are also typically in good condition, the scientists say, basing their study on “a robust, commonly used index” that combines different measures of the condition of aquatic insects and other creatures such as crayfish. They found that 21 percent of the nation’s river and stream length is in good biological condition, 23 percent is in fair condition, and 55 percent is in poor condition. Of the three major climatic regions – Eastern Highlands, Plains and Lowlands, and West – covered in this report, the West is in the best biological condition, with 42 percent of river and stream length in good condition. In the Eastern Highlands, 17 percent of river and stream length is in good condition; in the Plains and Lowlands, just 16 percent is rated in good condition. Two indicators that provide insight into potential risks to human health were assessed – mercury in fish tissue and bacteria. Human health screening values for mercury in fish tissue are exceeded in 13,144 miles of U.S. river length, streams were not evaluated. In nine percent of river and stream length, samples exceeded an bacteria threshold level for protecting human health. – Nitrogen and phosphorus are at excessive levels. Twenty-seven percent of the nation’s rivers and streams have excessive levels of nitrogen, and 40 percent have high levels of phosphorus. Too much nitrogen and phosphorus in the water causes increases in algae, which harms water quality, food resources and habitats, and decreases the oxygen that fish and other aquatic life need to survive. Nutrient pollution has impacted many streams, rivers, lakes, bays and coastal waters for the past several decades, resulting in serious environmental and human health issues, and impacting the economy. – Decreased vegetation cover and increased human disturbance can cause streams and rivers to be more vulnerable to flooding, erosion, and pollution. Vegetation along rivers and streams slows the flow of rainwater so it does not erode stream banks, removes pollutants carried by rainwater and helps maintain water temperatures that support healthy streams for aquatic life. 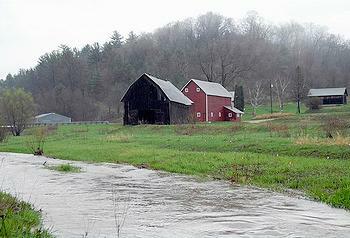 Roughly 24 percent of the rivers and streams monitored were rated poor due to the loss of healthy vegetative cover. – Increased bacteria levels. High bacteria levels were found in nine percent of stream and river miles, making those waters unsafe for swimming and other recreation. – Increased mercury levels. More than 13,000 miles of rivers have fish with mercury levels that may be unsafe for human consumption. For most people, the health risk from mercury in fish and shellfish is not a health concern, but an unborn baby or young child’s developing nervous system can be harmed by consuming higher levels of mercury, so pregnant and nursing mothers can be affected. The survey indicates the need to address the sources of these stressors, including stormwater runoff from urban areas, agricultural practices, and wastewater. Nationally, the amount of stream length in good condition dropped from 27.4 percent in 2004 to 20.5 percent in 2008-2009, scientists found when they compared these findings to those of the Wadeable Streams Assessment done in 2004, first statistically-valid survey of the biological condition of small U.S. streams. They found a 13.3 percent decline in streams in good condition in the Plains and Lowlands climatic region over the five year period. The percent of stream length in good condition for phosphorus dropped nationally from 52.8 percent in 2004 to 34.2 percent in 2008-2009 and declined in all three major climatic regions. Yet other indicators showed an increase of stream length in good condition. For nitrogen the percent of stream length in good condition rose from 46.6 percent in 2004 to 55.4 percent in the current study. Percent of stream length with good fish habitat rose from 51.7 percent to 68.9 percent. The percent of stream length with low levels of riparian disturbance rose from 22.7 percent to 34.8 percent. These are differences for streams only, not for rivers, which were not surveyed in 2004. “We must continue to invest in protecting and restoring our nation’s streams and rivers as they are vital sources of our drinking water, provide many recreational opportunities, and play a critical role in the economy,” said Stoner today. This comprehensive survey will help develop improvements to monitoring these rivers and streams across jurisdictional boundaries and enhance the ability of states and tribes to assess and manage water quality to protect water, aquatic life, and human health. As the 2008-2009 assessment report was being written, planning was already underway for the 2013–2014 National Rivers and Streams Assessment. EPA and its state and tribal partners have taken stock of the lessons learned from the 2008–2009 survey as well as from other National Aquatic Resource Surveys, the agency says. They have met to discuss possible changes in indicators, methods, reference sites, logistics, and analytical approaches; sites for the 2013–2014 sampling seasons have been selected; and manuals for field and laboratory methods and quality assurance are being updated and prepared.